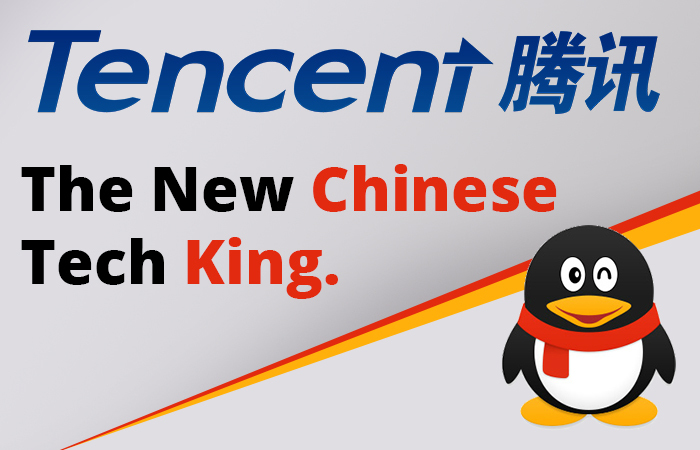 Tencent is a new Chinese Tech KING, overtakes Alibaba to become China’s biggest tech giant. China is a country where tech industry is very innovative than the US, it does not need a feel-good story in order to get noticed. The raging tech war going on in China has encouraged many of its companies to integrate social media, gaming and e-commerce to develop and outstanding user experience. The success of these tech companies is expanding beyond China’s borders. China’s biggest tech company Alibaba, with charismatic entrepreneur Jack Ma at the helm, has attracted a lot of global attention. It has explored the international markets and has become a very popular service that Americans are familiar with. But the operator of WeChat messaging app Tencent, has surprised the analysts as it is overtaken Alibaba by becoming worth $247.6 billion as compared to $238.7 billion of the global giant. Tencent, a powerful company is headquartered in southern Shenzhen, the city known as China’s Silicon Valley. It has attracted a lot of global attention for standing up to the level of tech giant, Alibaba. This company was cofounded by Ma Huateng, also known as Pony, in 1998. Ma, at the age of 44, has become the third richest person in China, and has become the 9th richest in the field of tech. named as the most generous philanthropist in china By the Hurun research institute; Ma donated around 100 million Tencent shares in 2016. His company has become the most valuable Chinese brand in 2016 with more than 30,000 employees based in China. Tencent is an online gaming and social networking company, it has many other features such as ride hailing, online payments and online shopping. But the two if it popular apps are WeChat and QQ. The users of this app are from around the world but it is a brand more commonly known in China. QQ has more than 650 million users and offers a variety of services such as music streaming similar to Spotify. Although Tencent’s social media and messaging apps are the most popular but the revenue is largely generated through it online gaming. Also See: Alibaba is China’s Amazon. Tencent has become the most valuable tech company and investors have reacted enthusiastically its Q2 earnings report. The report revealed that Tencent revenues have reached this fastest rate in over three years and its stock increased 6% in Thursday’s trading. This shows that China’s internet market is booming with its tech companies showing greatest revenue growth. “Revenues jumped, platforms are booming and it runs the Twitter and Facebook of China. Investors are hoping that like Facebook, they can turn active users into revenues”. Next article You are not a super hero unless you prove your worth #Freelancing.